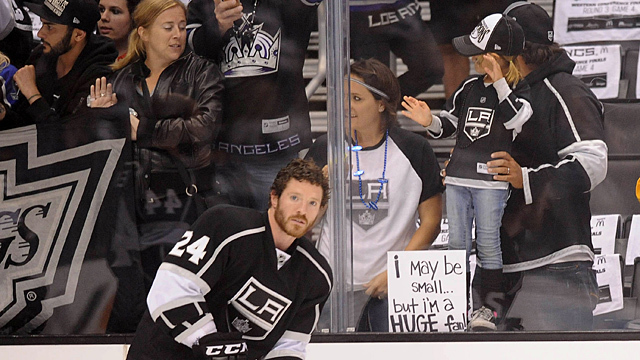 » How Disappointing Was Your Team’s NHL Playoff Run This Year? How Disappointing Was Your Team’s NHL Playoff Run This Year? This is the time of year when you can expect to repeatedly encounter some variation of these words: We’re down to just two teams left standing in the NHL playoffs. That phrasing always seemed oddly appropriate, since it implies that the rest of the league must be on the ground. And metaphorically speaking, that’s true. By the end of the third round, the floor is littered with failed playoff teams. Some may have collapsed from sheer exhaustion, others are sprawled out after a swift and bruising knockout, and a few are curled up in a little puddle of tears, wondering how it all went so wrong. So before we move on to praising Boston and Chicago, let’s spend a few minutes picking through three rounds of postseason wreckage. Here are the 14 playoff teams that have been eliminated, ranked in order of how disappointing their playoff runs ultimately were. 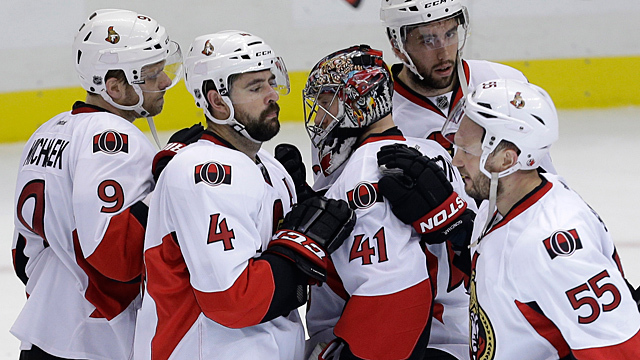 The Ottawa Senators entered the playoffs as an easy team to discount. They were getting healthy and had a top goaltender, which gave them some trendy upset cred. But by most accounts, they’d overachieved during the regular season and they’d drawn what seemed like should have been a tough matchup with the Montreal Canadiens. It was hard to ignore the potential for a “just happy to be here” vibe. Instead, the Senators pulled off the upset. And they didn’t just beat the Canadiens; they destroyed them. In the process, they may have given birth to a new divisional rivalry that the franchise has desperately needed for years. The second round didn’t go quite so well, with the Senators meekly bowing out against a red-hot Pittsburgh Penguins team that seemed to be rolling to an inevitable Stanley Cup (oops). But realistically, that’s a more-than-satisfactory result for a talented young roster whose rebuilding plan remains years ahead of schedule. The Minnesota Wild came into the playoffs as an 8-seed, and they did what 8-seeds are supposed to do: They got crushed by a far better team. The Chicago Blackhawks finished off their division rivals in five games, capping the series with a 5-1 win in the deciding contest. No team likes to lose in the first round, but it’s hard to get too upset about being beaten by the eventual conference champion. The Wild stood their ground and even managed to give the Blackhawks a few scares, and they did all that with starting goalie Niklas Backstrom sidelined by a last-minute injury. The Wild won’t get the benefit of low expectations for long and will probably need to start winning playoff rounds as early as next season, but this year they got all they could really hope for under the circumstances. I could cut-and-paste a lot of the Wild’s section for the New York Islanders, another 8-seed that nobody thought had a chance. At times, the Islanders gave Pittsburgh all they could handle during a six-game first-round series, with the Penguins needing a pair of overtime wins to advance to the second round. If anything, coming as close as they did to the upset probably makes the Islanders’ loss sting a little bit more than the Wild’s did, which is why I’ve got them one notch higher. But for long-suffering Islanders fans (and their recent band-wagoners), the more important takeaway from the 2013 playoffs is that for the first time in years, there finally seems to be a reason for hope. There’s no doubt that the Kings are disappointed with their five-game Western Conference finals loss to the Blackhawks in a series that showcased some of the team’s potential flaws. They got closer to the Stanley Cup final than any team on this list, after all, and it would be only natural to slip into “what might have been” mode. But given that the NHL hasn’t seen a defending Stanley Cup champion pull off a repeat in 15 years, the Kings can be proud of how close they came. There’s not a lot of analysis needed about what went wrong here. After winning six straight playoff series over two years, they just ran into a better team. There’s no reason to think they won’t be back. The Red Wings’ playoff run was brought to you by the number seven. They entered the postseason as the West’s seventh seed and played a pair of tough seven-game series, pulling off an upset of the second-seeded Ducks before falling to the no. 1 Blackhawks. The second-round Game 7 overtime loss to Chicago was painful and will probably haunt the team and its fans for a while (especially if the Hawks go on to win the Cup), but it has to be seen as a respectable result for a team that struggled to even make the playoffs. Plenty of fans were ready to dance on the Red Wings’ graves after more than two decades of consistent excellence. Detroit didn’t give them that opportunity, and suddenly the Wings don’t look quite as vulnerable as they did in the final weeks of the regular season. The San Jose Sharks felt like an afterthought heading into this year’s playoffs. After years of racking up wins during the regular season and then finding a way to fail once the games mattered most, this year’s comparatively mediocre edition seemed like a good bet for an uneventful first-round exit. Instead, the Sharks swept the Vancouver Canucks before stretching the Kings to the limit in seven hard-fought games. Losing any series in seven is tough, but there’s no shame in going down to the defending Stanley Cup champions. If anything, the Sharks can take some credit for wearing down the Kings, who seemed out of gas in the conference finals. That’s not much consolation, but it will have to do. The Washington Capitals went into the playoffs as the East’s 3-seed, thanks to their Southeast Division crown, but weren’t exactly heavy favorites against a sixth-seeded New York Rangers team that had an almost identical record. 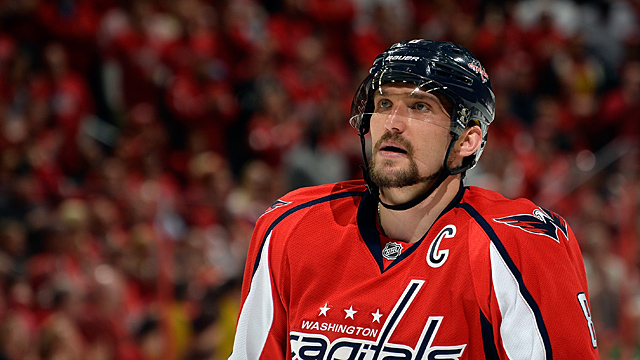 The Caps looked good through five games, holding a 3-2 series lead after a dramatic OT win. But they followed that up with back-to-back shutout losses, including a 5-0 debacle at home in the deciding game. Team captain Alexander Ovechkin managed only two points in the series, wiping some of the shine off his spectacular surge in the latter half of the season and reinvigorating the old narrative about Washington’s high-priced talent fading when it counts. It was a disappointing end to a season that had started to feel like a redemption story for a franchise that everyone seems strangely eager to write off. Rookie coach Adam Oates and the Capitals do seem like they’re on the right track. But regardless of how you get there, a Game 7 loss on home ice is always hard to swallow. Yes, this seems odd — how could the Rangers’ playoff run have been more disappointing than the Capitals’, a higher seed that New York eliminated in the first round? There’s a good case to be made that that shouldn’t be possible, but hear me out. The Rangers’ opening-round win over the Capitals was impressive, sure. But in hindsight, it just stamped their ticket to what ended up being a second-round disaster. Their five-game loss to the Bruins was bad enough. But the circus that went with it — Brad Richards’s benching, Henrik Lundqvist’s postseries comments, and coach John Tortorella’s firing — seemed to signal that an offseason of turmoil was on the horizon. Sometimes it’s not just when you lose, but how. The Rangers lost ugly in Round 2, and they’re feeling the effects now. The Blues had the bad luck to draw the Kings for a series that just about everyone predicted would be the hardest fought of the first round. It was. The Blues eventually bowed out in a six-game series in which every game was decided by one goal. But it’s hard to shake the feeling that a first-round loss is a step back for a team with just one series win in 10 years. After three trips to the Finals they made thanks to the NHL’s bizarre insistence on icing an all-expansion division in the late ’60s — predictably, the Blues were swept easily all three times — this is a franchise that’s been as far as the conference finals just twice in 40-plus years. They’re usually good, but rarely great. 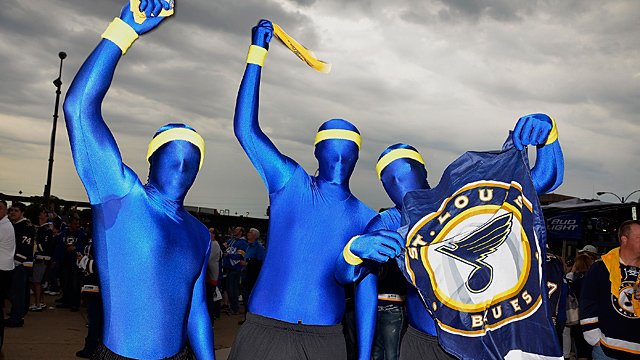 And for most hockey fans outside St. Louis, that makes the Blues an easy team to forget. A first-round knockout of the defending champs would have been a chance to change that reputation and announce that it was finally time to take the St. Louis Blues seriously. Losing out, even with effort as admirable as this one was, feels like yet another missed opportunity. On the surface, the Maple Leafs should be contending for the no. 14 spot on this list. They’re a young team that was making its first playoff appearance in almost a decade, and were heavy underdogs against the Boston Bruins. When they fell behind three games to one, everyone figured the series was over. Instead, the Maple Leafs fought back, finally falling in overtime of Game 7 on the road against a team that’s gone on to steamroll every other team it has faced. It’s quite possible that in a few days, the Leafs will be able to say they gave the eventual champs their toughest challenge. As nice as all that sounds, we still need to factor in that game. Blowing a two-goal lead in the dying seconds of a Game 7 is the kind of memory that can override all the other positives that built up to it. The truth is that if the Leafs had lost Game 7 in Boston by a 1-0 final — heck, even by a 7-1 final — they could call their postseason a positive experience and move on. But that’s not what happened, and that’s not how the 2013 playoffs will be remembered in Toronto. Maybe that’s not fair, but it’s how sports works. The Ducks were one of the league’s best stories during the regular season, rebounding from an awful 2011-12 campaign to capture the West’s second seed. That earned them a first-round matchup with a Red Wings team that seemed like it should be ripe for the picking. Instead, the Red Wings managed to pull off the upset in a tight seven-game series that featured four overtime games (of which Detroit won three). The entire series was a coin flip that one team had to lose, but that’s probably not much consolation for Anaheim fans who watched their team botch a 3-2 series lead and drop a Game 7 on home ice. Any 2-seed that goes out in the first round has to rank high on a disappointment scale, but at least you can say that the Ducks gave their opponents a series. If that sounds like a segue into the next entry, it is. This is one of those cases where the phrasing of the premise matters. If we were measuring against expectations at the start of the regular season, Montreal wouldn’t be anywhere near this ranking — after finishing dead last in the East in 2011-12, any Habs fan would have been thrilled to finish this year as a 2-seed, even if it came bundled with a first-round loss. But we said we were looking at expectations entering the playoffs, and on that measure the Habs were a disaster. Based on the final standings, they should have been heavy favorites against the Senators, a team they finished seven points and five seeds ahead of. 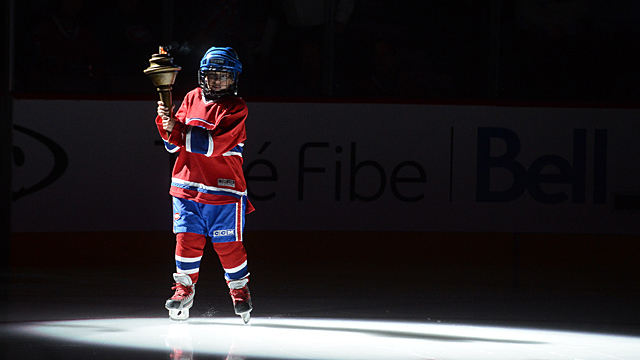 At the very least, you would have expected Montreal to put up a fight. Instead, they got smoked in arguably the most one-sided series of the postseason. It was an embarrassing display that featured a pair of 6-1 blowouts sandwiched around a Game 4 that saw Montreal blow a two-goal third-period lead and lose in overtime. They lost on the scoreboard, they lost in the alley, and then they lost their best player to injury. The only positive was that they managed a single win in Game 2, and in hindsight all that did was give them the chance to bow out of the series with an embarrassing loss at home. It was ugly. And after an inspiring regular season, the series might even leave fans wondering whether the team is really as close to contending again as it had seemed. There’s not a lot of explanation required here. The Canucks had a disappointing regular season by their standards (in the sense that they failed to win the Presidents’ Trophy for a third straight year), but were still expected to make a deep run. Instead, they were the only playoff team to fail to win even a single game. The series with San Jose was closer than the final result would indicate, with two of Vancouver’s losses coming in overtime, and the loss had as much to do with a strong effort by the Sharks as any real faults in the Canucks lineup. But it was still enough to cost coach Alain Vigneault his job, and signal an apparent change in direction for a team that’s spent the past few years dominating, but hasn’t been able to earn the Stanley Cup that’s eluded the franchise for more than four decades. The Penguins went further than other teams on this list, reaching the conference finals before losing to the Bruins. For most teams, that kind of playoff run would be considered a success. But the 2013 Penguins are not most teams. Put simply, this was a team that was built to win it all. They were the East’s top seed by a wide margin, and Ray Shero’s pre-deadline trading spree was a clear signal that they were loading up for a championship. They went into the playoffs as the oddsmakers’ favorites, and after a few early-series struggles against the Islanders they rolled through the first two rounds with seeming ease. And then it all fell apart against the Bruins in a stunning sweep. All the big names — Crosby, Malkin, Iginla, Letang, Neal — were held pointless, and Shero’s deadline deals were busts. 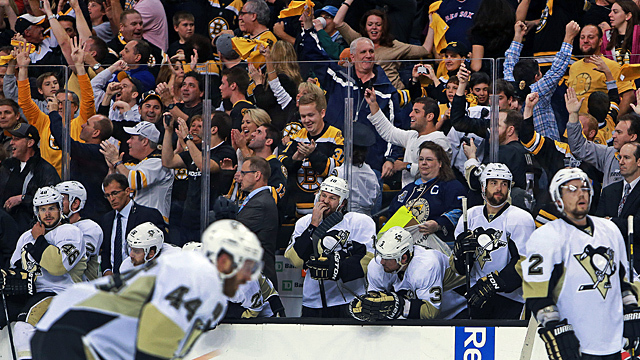 The Penguins spent much of the series looking hesitant, flustered, and outclassed. And now they head into an uncertain offseason with a challenging cap situation, a goaltending controversy, and talk of a coaching change. That’s a shocking turn of events for a team that, just more than a week ago, was the envy of the league. The Penguins went into the playoffs having positioned themselves as the NHL’s all-or-nothing team, and they walked away with nothing. In a conservative league, maybe they deserve credit for being willing to push all their chips into the middle. But any way you look at it, their breathtaking crash-and-burn makes them the biggest disappointment of the first three rounds.